1 in 3 Australian travellers say they have felt disadvantaged by choosing to travel alone. Lonely Planet urges industry to cater better for growing trend. Experience Co Limited, Australia and New Zealand�s leading adventure tourism company, is expanding its presence in Far North Queensland after announcing it is to acquire Big Cat Green Island Reef Cruises and Tropical Journeys. 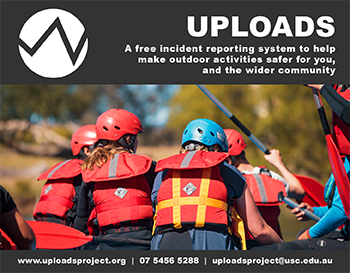 The City of Hobart is seeking expressions of interest from ropes course operators wishing to develop and operate a ropes course on Council owned bushland. Bestjet posts more than $900K profit, up 35 percent. Queenstown�s Coronet Peak and The Remarkables ski areas have joined The Mountain Collective, a grouping of 12 of the best ski resorts in the world. Queenstown-based Ultimate Hikes is celebrating its �busiest season ever� as it opens up bookings for the 2016 -17 season with a new Walk + Stay package. 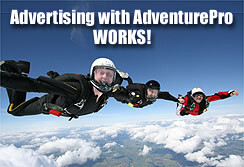 AdventurePro's readers want to read your articles, media releases and opinions. Why not try our quick and easy online contributions or simply email us so YOU make the NEWS!